There are two types of people in this world—those who shop at Sephora and would gladly pay the retailer rent to take up residence full time, and those who, well, don't. If you're the former with a weakness for all things skincare, you'll want to keep reading. And if you're the latter, uh, you'll actually want to keep reading too. Those who regularly shop at Sephora know that the beauty mecca offers some of the most revered beauty brands and buzz-inducing products in the industry, many of which yield thousands of reviews, loves, and ratings on the retailer's website. Therefore, whether you're well-versed in beauty or not, Sephora's litany of best-selling products can serve as a guiding beacon of inspiration, solution, and all-around survival. Which is why as beauty editors, we love analyzing it as if it were a scientific spreadsheet of what's the currently popping on our fellow beauty lovers' radars. Our summer-wired brains are currently obsessed with our skincare regimes, in particular, so we decided to surf Sephora's website to pinpoint which cleansers, serums, mists, tools, and more are flying off the shelves faster than Hailey Bieber's $50 Zara outfit. Ahead, 29 best-selling skincare products at Sephora sure to gift you with an unparalleled glow this season. Keep scrolling! Your new, very much in-demand skin routine awaits. 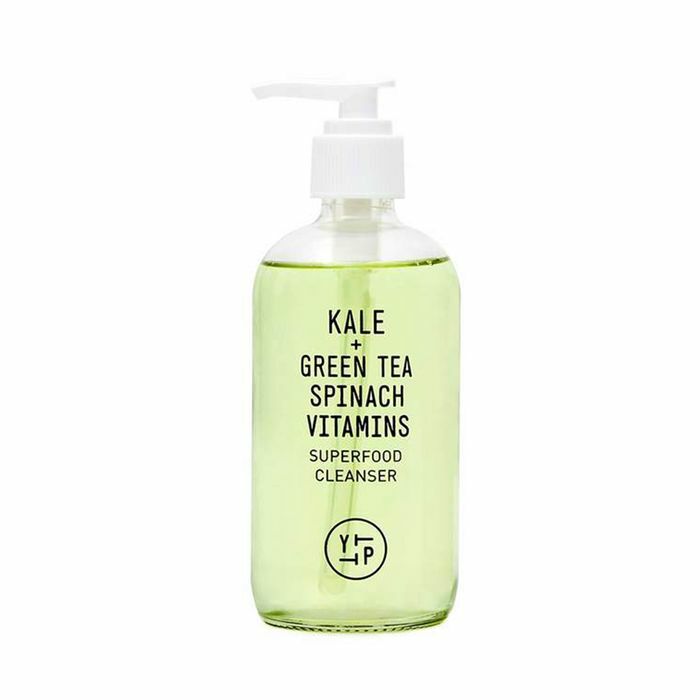 Enter Sephora's best-selling skincare page, and this beloved pick from clean, superfood-based brand Youth to the People will be the first product your eyes land on. It has over 40 thousand loves, 854 reviews, and a collective rating that consistently falls higher than four stars. Infused with antioxidants, it removes makeup and debris in a snap and also plays nice with any skin type. This award-winning cleansing balm has a specific knack for remedying dull, dry skin, but it's also great for removing makeup and purifying away excess sebum, dirt, and oil. Key clean ingredients include sunflower and ginger root oils, moringa and turmeric extracts, and papaya enzymes. This OG cleanser from Fresh has been around forever, and there's a reason it's always a consistent bestseller at Sephora—it works. It has over six thousand reviews, 140 thousand loves, and an A+ roster of ingredients like amnio-rich soy protein, soothing rose water, and nutrition-rich borage seed oil to soothe parched skin and other potential concerns like fine lines, wrinkles, and loss of firmness. This exfoliating mask is pretty damn infamous within the beauty industry, and according to its high-demand on Sephora's website, shoppers are equally obsessed. Designed to mimic the glow-enhancing effect of a facial, this AHA/BHA potion helps slough away dead skin to reveal a more radiant finish. Safe for dry, oily, and combination skin, this new resurfacing elixir from The Ordinary is as effective as it is affordable. Fortified with a triple threat combination of glycolic, salicylic, and lactic acid, it helps clear existing breakouts while also enhancing glow and smoothing skin texture. Clogged pores and breakouts everywhere fear this well-known mud mask from Glam Glow. Essentially, it can clear a troubled complexion of blackheads and blemishes almost instantaneously thanks to vacuum-like ingredients like activated charcoal and a steadfast mix of six different proprietary acids. Yes, Summer Friday's best-selling mask might be one of the most Instagrammed skincare products on earth, but it's also a top pick at Sephora. The unique creamy formula helps revive skin with a boost of hydration and nutrition in just one wear. Sheet masks—you either love them or hate them. That said, if you take this formula's 40,000 loves and 346 glowing reviews into account, even those who would categorize themselves in the latter camp would probably wind up very radiant converts. If you suffer from dark spots and other forms of hyperpigmentation, this toner from Ole Henriksen can help. Ultra-lightweight and non-irritating, it features dead cell-sloughing glycolic and lactic acids, witch hazel (which is like nature's version of salicylic acid), and a dreamy mix of lemon, sugar cane, licorice root, chamomile, and sandalwood extracts. At just under $9, this best-selling skincare product from The Ordinary is a total steal—especially if you're concerned with spots, scars, and the like. This exfoliating antidote boasts seven percent glycolic acid in addition to amino acids, aloe vera, ginseng, and tasmanian pepperberry. A product this investment-worthy has to be good in order to garner the amount of love and respect this essence from SK-II has within the discerning Sephora community. It's the brand's hero ingredient and features 90% pitera for an even, plump, and luminous complexion. Beauty editors can't get enough of this lush mist from Tatcha, and according to its rave reviews and rating, Sephora shoppers are cut from the same cloth. Chock full of Japanese-inspired skincare savors, we recommend using it to saturate your Beautyblenders in lieu of normal water, using it to set your makeup, or just spritzing it midday as the ultimate refreshing pick-me-up. This super-fine watermelon-enriched mist is one of the newest launches from Glow Recipe, and it speaks volumes to the product's popularity that its already surpassed other cult classics and is a current best seller on Sephora's website. We're blaming the succulent blend of 84% watermelon, hyaluronic acid, and breezy hibiscus. When it comes to hard-hitting (yet pleasant to use) serum, this best-seller from Farmacy is a unanimous Sephora fave. Here's the secret: a blend of AHA from lactic, glycolic, citric and fruit acids (to nix dead cell build-up), BHA from willow bark (to minimize the appearance of pores), flower acids from hibiscus (to exfoliate and clarify), and hyaluronic acid (to pack a juicy punch of moisture). Known as one of the most popular vitamin C serums on the market, we weren't surprised to see this formula from Drunk Elephant at the tip-top of Sephora's best-seller page. It's user-friendly for every skin type and features a no-nonsense blend of antioxidants, skin-loving nutrients, and brightening fruit enzymes. Packed with anti-aging prowess, this pint-sized serum is a little bit of a legend as far as transformational serums go. Alongside the obvious content of vitamin C, there's collagen to aid in enhanced radiance and lasting nourishment and skin hydration. This marula-based facial oil from Drunk Elephant is a favorite among makeup artists and beauty editors, and Sephora customers love it too for its easy absorbancy (it won't' leave you feeling sticky or greasy! ), next-level hydration, and extra-soothing finish. Buzzy ingredients like vitamin C and acid get a lot of hype attention within the consumer realm, so we were kind of surprised (in a happy kind of way) to see this little miracle bottle of rosehip at the top of Sephora's best-selling face oil list. It's super high quality (think 100% high-purity sustainably sourced, organic, cold-pressed rosehip oil), which makes the skinny price tag almost shocking. There's nothing better than a product that makes us look better come morning than we did the night prior, and this overnight concentrate from Kiehl's definitely delivers on that front. It boasts a rejuvenating mix of demure oils like lavender, evening primrose, and squalane for maximum beautifying benefit. If you haven't noticed by now, Drunk Elephant would be voted most popular within the category of best-selling skincare at Sephora. That said, there's rhyme and reason behind its impressive reputation, and this peptide-folic-acid-and-stem-cell-packed moisturizer is just another jar of skin-gifting proof. This anti-aging water cream from Tatcha boasts over 1000 reviews and still manages to hang on to its four-star-and-over rating. As Post Malone would say, "Wow." It's also oil-free and expertly formulated with top-grade Japanese botanicals to gift you the clear and dewy complexion of your dreams. A best-selling skincare list would nary be complete without the likes of something bearing the iconic La Mer name. This cream is inarguably the favorite child according to Sephora shoppers and features the brand's signature Miracle Broth to nourish, plump, and soothe skin into ultra-glowy oblivion. Inspired by an age-old beauty industry secret (banana powder! ), this beloved eye cream is also armored with brightening and tightening vitamin C, collagen, and caffeine to immediately diffuse the look of shadow and dark circles while lending a helping hand to the health and wellness of the delicate eye area in the long run as well. Developed in Japan, this best-selling eye cream is the ultimate under-eye elixir if you're on the search for top-notch anti-aging perks. Thanks to Shiseido's breakthrough WrinkleResist24 technology, wrinkles in all the tricky areas like the delicate eye area, lid creases, and crow's feet, will have to fight to survive. You're not a true beauty lover until you own a jade or rose quartz facial roller, and this double-ended gem from Herbivore is the unanimous fan favorite according to Sephora customers. Essentially, it encourages lymphatic drainage, which in turn diminishes the look of puffiness, wrinkles, and the like. Yup, it's been around for a while now, but Sephora shoppers are still enjoying the high of a super-fresh cleansing experience courtesy of the Clarisonic. Pint-sized but potent, this adorable mini cleansing device from Foreo makes your skincare routine, uh, fun again. Plus, you'll get a superior clean thanks to the non-abrasive silicone brush and T-Sonic pulsations. Next up, eight holy grail beauty products we think Kate Middleton would buy at Sephora.